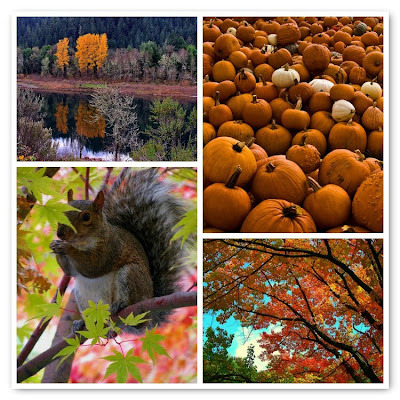 Flickr Favourites: Fall is all around us!!! I found those awesome pics on Flickr and would love to share them with you! I love fall with the awesome colors of the leaves, pumpkins, blue sky!!! This morning I got up early, I did my housework, I cooked something for dinner (as for lunch I'm alone at home and I only eat a yogurt so...I don't need to cook...LOL) and I started to work on my Dad's quilt. 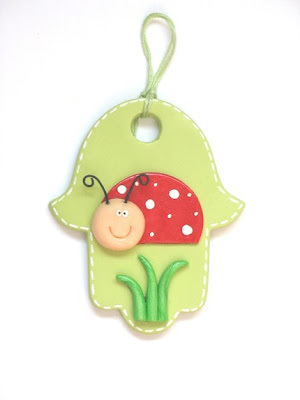 Today I found this cute shop on Etsy for you: Studio Danale - unique nursery decor. It's full of very nice and sweet items for our babies room, beautiful and delicate designs and pastels colors! Please, go and visit it!!!! 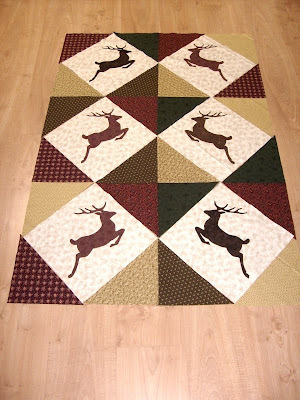 I started my quilt today. 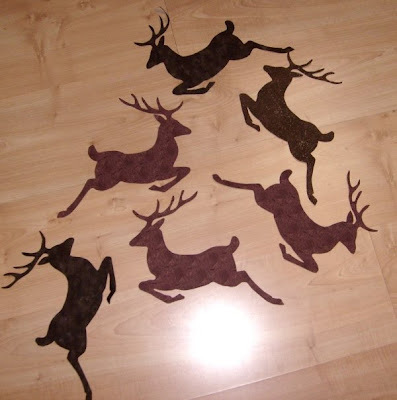 Now, I'm going to sew them on my central blocks. Thanks for take the time to read this!!! I wish you all a nice Sunday!!!! 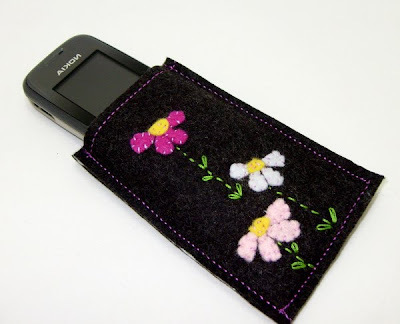 And so...I'm having a new one on Boutique Stitches' Blog! 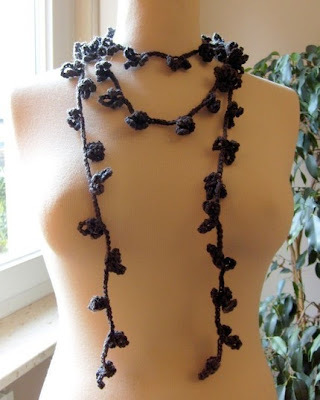 If you like my crochet lariat and would like to have a chance to win it...just click here and follow some simple rules and...you could be the winner!!! 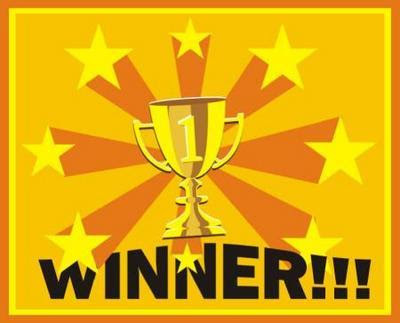 my 1st giveaway is ended. Jade from The Sewing Greenie. Thanks so much to Sandra and to all the partecipants and thanks for the wonderful comments you left on my items!!!!!! BIRTHDAY SALE: 20% OFF ON MY WHOLE SHOP!!!! This week end I'm celebrating my birthday...wow...I can't believe this...they are already...38!!!!! My birthday will be Monday, 12th of October and so in this week end I would love to run a sale in my shop. You can choose anything you want and...I'll aplly a 20% off on the total amount of the order! The only thing you have to do is to be a follower of this blog and mention on the notes of the order "birthday sale". Then...wait for a revised invoice!!!! The sale started today Saturday 10th October and will end Monday 12th October at midnight! Thanks and...hope to get lots of sales this week end!!!! I tought that it should be nice if she also have a new cell phone holder! So...I took some piece of wool, felt, embroidery threads and I made for her this one! Today I'm going to give it to her and...I really hope she'll like it!!! I need to start soon my Xmas gifts, I love to make them and not to buy them but...they requires lot of time and lot of work but...I enjoy every minutes while I'm making them! 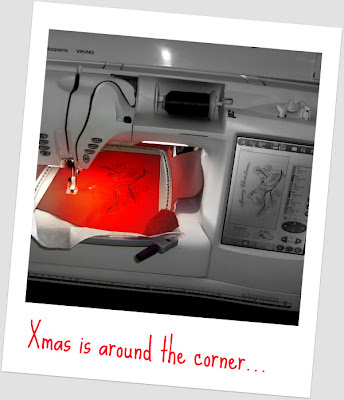 Today my creative space is dedicated to the making of my 1st Xmas gift for this year!!! So...my sewing and embroidering machine...is ready to start!!!! If you'd like to play to this game too, please, visit the Kootoyoo's blog! 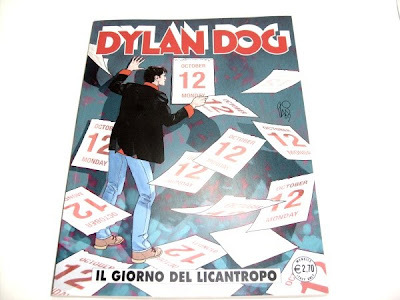 Dylan Dog celebrates my birthday!!!! Dylan Dog is a nightmare's investigator! He has a very funny assistant, he's the copy of Groucho Marx and he's funny and crazy like him too! But Dylan...oh...he's a beautiful old boy...he always fell in love with some wonderful girl...he had lots of girls and...he really loved them all!!! Every month in the newspaper kiosk you can find a new adventure of this fascinating always young boy! 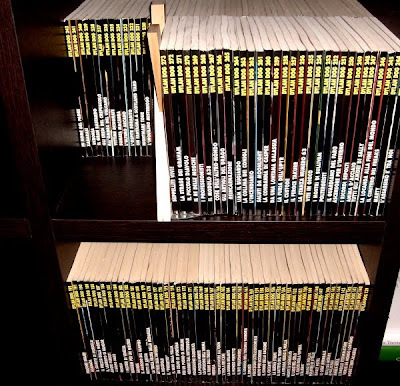 I have 196 of those books and so this means that I started to read it more then 16 years ago!!! I just fell in love with him the 1st time I found his little book in the kiosk and...never stopped to read it, month after month...year after year! So...you can easly understand my surprise and my...happyness today!!! I went to the local shop for buy my copy of the book, I took it, I paid it and...when I went outside on the road...I took a look at the cover of this month ...and...WOW!!!!!! And...my birthday it's exactly the...12th of October!!!!!!!!!!!! Ok...it says also "The day of the werewolf" so my hubby is a bit worry about this...LOL!!! Yes...ok...I know he's not really celebrating my birthday but...I would like to think he is!!!!!! So...thank you Dylan for this great birthday gift!!! It's the 1st one for me this year...and I hope...to get more others in the next few days!!!! Thanks to all for reading and maybe now...you'd like to know more about Dylan too!!! !